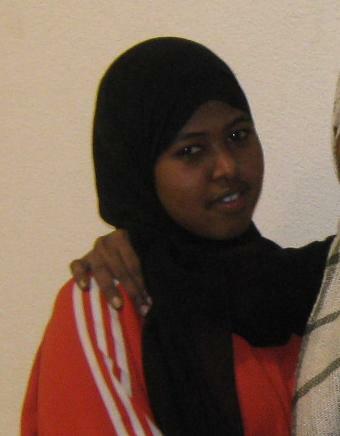 Deqo Shire, 17, was born in Somalia, and has five brothers and two sisters. She played soccer with her brothers throughout her youth. When her family has some problems in Somalia, they moved to the United States, but their struggles continued and Deqo moved out on her own to live with friends. She joined the Street Soccer program through homeless teens service provider Youth Link MN. Deqo has begun to plan for her future and feels settled in the Street Soccer team community.